Whatever your needs ... be it an unforgettable corporate event, an extraordinary association function, a flawless group meeting or a memorable club gathering ... the solution is only a quick email or phone call away. Our Sales Team will work with you to coordinate every detail of your event at our beautiful, full-service event venues. Pricing is based on 1.5 hours of service and listed per person. Guest count must be guaranteed 5 days in advance. 10% sales tax and a taxable 22% service charge will be added to the final invoice. For groups less than 25 guests, a per person surcharge of $5.00, subject to applicable tax and service charge, will be added for buffet meal service. Pricing is based on 1.5 hours of service and listed per person. Guest count must be guaranteed 5 days in advance. 10% sales tax and a taxable 22% service charge will be added to the final invoice. MINIMUM 50 GUESTS. Pricing is based on 1.5 hours of service and listed per person. Guest count must be guaranteed 5 days in advance. 10% sales tax and a taxable 22% service charge will be added to the final invoice. For groups less than 25 guests, a per person surcharge of $5.00 per person, subject to tax and service charge, will be added for buffet meal service. Pricing is based on 1.5 hours of service and listed per person. Guest count must be guaranteed 5 days in advance. Guest entrée selections must be provided with guest count along with place cards. 10% sales tax and a taxable 22% service charge will be added to the final invoice. The elegantly draped floor-to-ceiling windows of the 2,457 sq. ft. of the Cypress Ballroom frame gorgeous views of the pond and rotunda, create a stunning backdrop to this beautiful, multi-configurable space. It's the perfect venue for meetings, receptions, banquets, and gatherings of any kind. Located in the Cypress Ballroom building, our Executive Boardroom offers a high-end professional meeting space boasting state-of-the-art AV equipment and services. These include multiple monitors with full HD video quality, HD camera and audio, and point-to-point HD video communications. Located across from the Mansion Restaurant on the bottom floor of the Mansion, Oscar's Dining Room provides a private setting for groups. It's perfect for office parties, birthday celebrations, rehearsal dinners, bridal or baby showers, or even just to gather with friends to enjoy Nottoway's incredible cuisine. 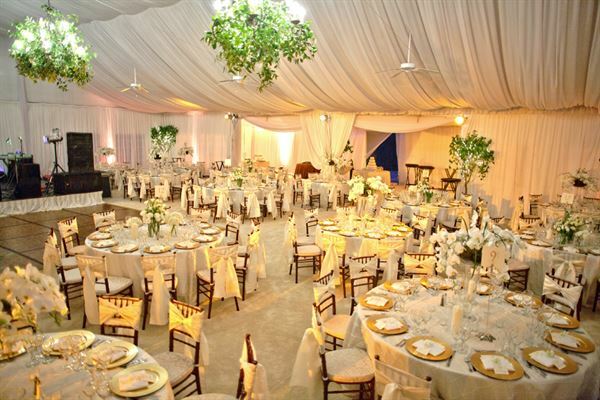 Ever since the mid-1800s, Nottoway's spectacular White Ballroom has been the setting for countless elegant parties, professional receptions, and festive celebrations. Located on the main floor of the mansion, events in the White Ballroom are also able to roam and explore the historic dining room, Gentlemen's Study and the rocking chair-bedecked front porch.